"These are not food tech companies. These are delivery firms. Food ops, may be a good word," said Siddhartha Das, general partner at VenturEast in an earlier conversation with ET. However, as sanity and unit economics come to focus, investors are becoming open to invest in new avenues. "This is the best time to be raising money for growing companies. Even though there are constraints on scaling, this area will mature in the next two-three years," said Salim Vali, vicepresident of impact investments at Centre for Innovation, Incubation and Entrepreneurship in Ahmedabad, which is in final stages of closing a deal in the food space. 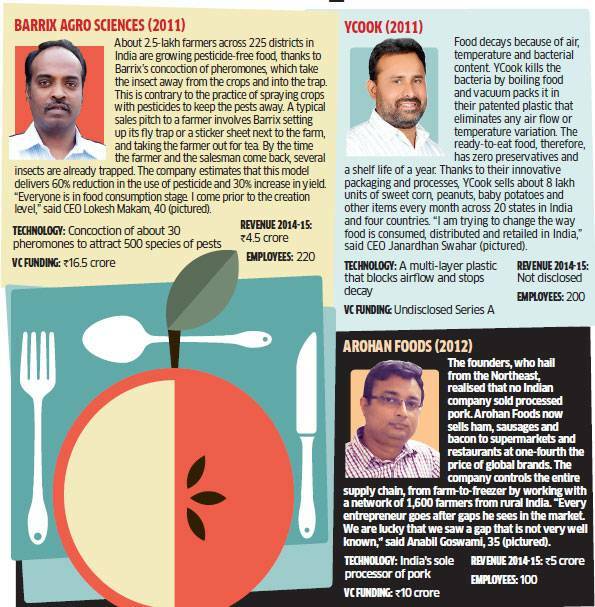 ET looks at a few firms in the food tech segment that are inventing and innovating below the radar.